Round one (of 3) complete. Had a group of 6 on this round, and a great time! As mentioned, we ended up hitting 3 spots tonight. Setting off on this adventure, I personally had no solid plan in mind. No rating system, no cheat sheets. Each participant is more than welcome to rate, rank or declare a winner, but as of now I'm just going to follow the title of the thread and call it an adventure. 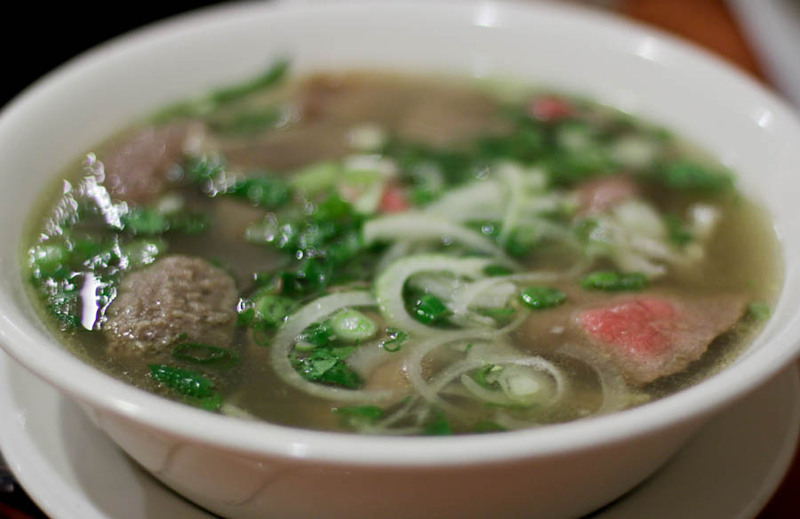 Having had conversations with many people about great pho in other cities, and in vietnam, but simple "ok" or "pretty good" in chicago, my only real objective was to gather a healthy sample of what Chicago has to offer in the way of pho, and come to a conclusion one way or another on one question: is there GREAT pho in chicago? First stop was pho 777. There we got a couple appetizers. 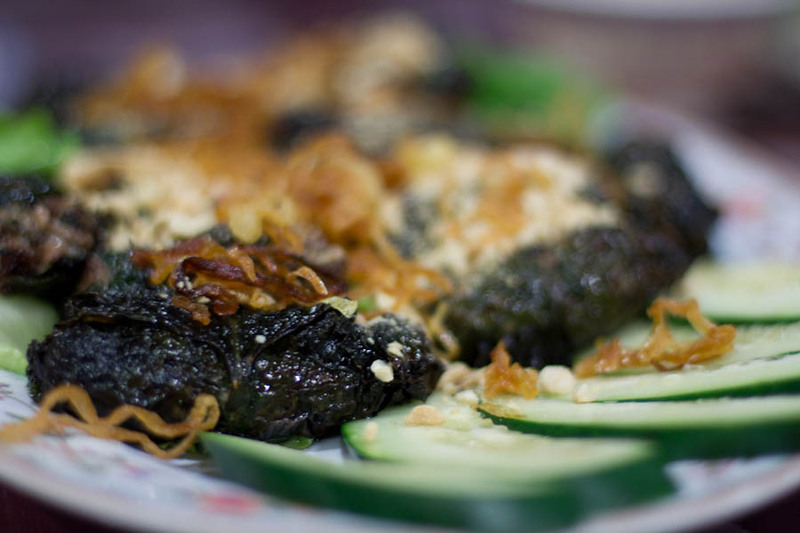 Hen Xuc Banh Da (baby clams with sesame crispy crackers), and Bo La Lot (betel leaf wrapped beef rolls). 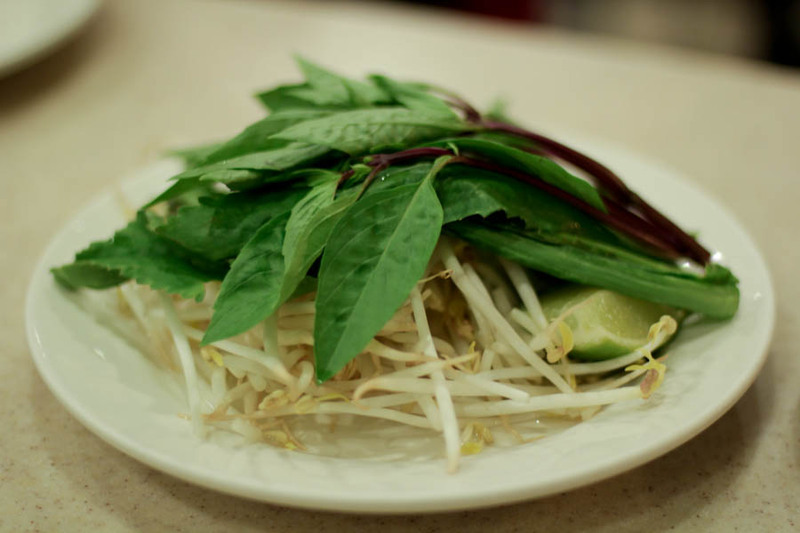 Then for pho we tried the Pho Dac Biet - Special 777, and a Pho Kim Chi. Sadly the dishes at 777 ranged from OK to pretty bland. The clams with sesame cracker was quite plain. 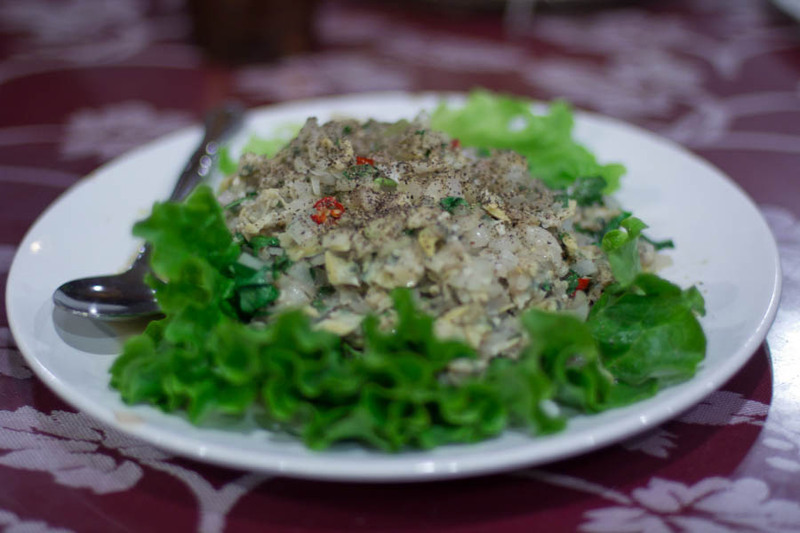 Tasted like some canned clams with a light fish sauce and a lot of black pepper. The Bo La Lot was flavorful and I liked the betel leaves, but the meat had a strange texture and seemed to ooze water when bitten. The best guess at the table was that it must have been prepared ahead of time then frozen. The Pho Dac Biet was somewhere on the OK spectrum. I'd have settled for it if it was the only meal of the night, but knowing that there were a few more stops ahead of us, I didn't bother finishing it. The noodles were well cooked, and the broth clear and bland. It definitely needed fish sauce and some spicing up, but still felt quite thin and lacked the beefy savory flavor i'd have liked. I'm sure that a pho can be light and healthy tasting, but this one was just thin and plain with very little flavoring at all. 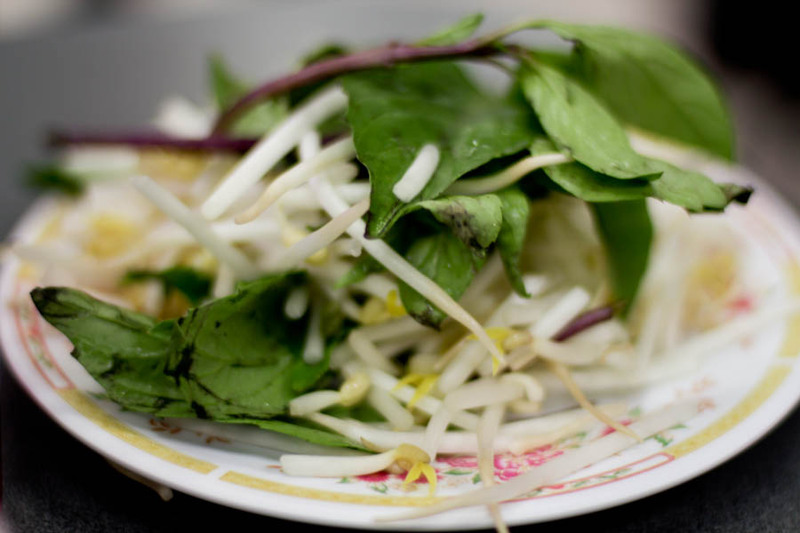 The kim chi pho was even more bland. Before we dumped the kim chi in the pho, it was quite literally water with the noodles thrown in. Is there something i'm missing here? 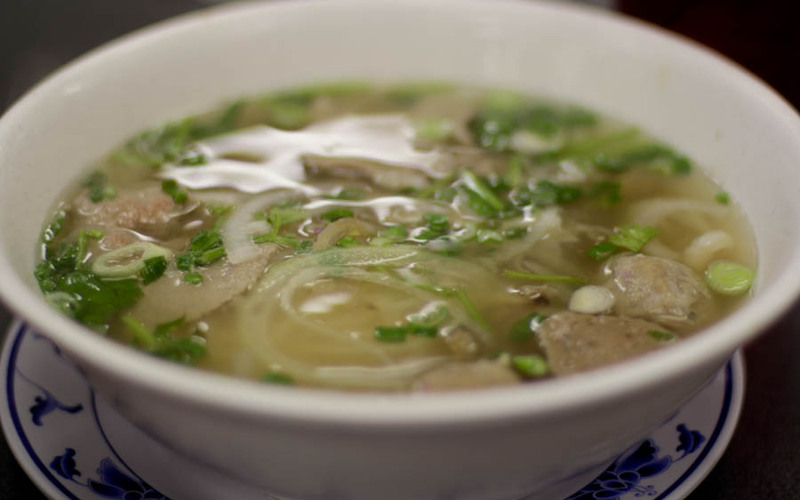 I'm still not sure that i fully understand these types seemingly boring bland of pho and why so many restaurants with pho in the name bother to serve them? Anyhow... Here are the pics. Fresh Veggies that came with the Pho, were fresh and crisp. Next up was Le's Pho. We picked it wanting to throw a lesser talked about one into the mix. 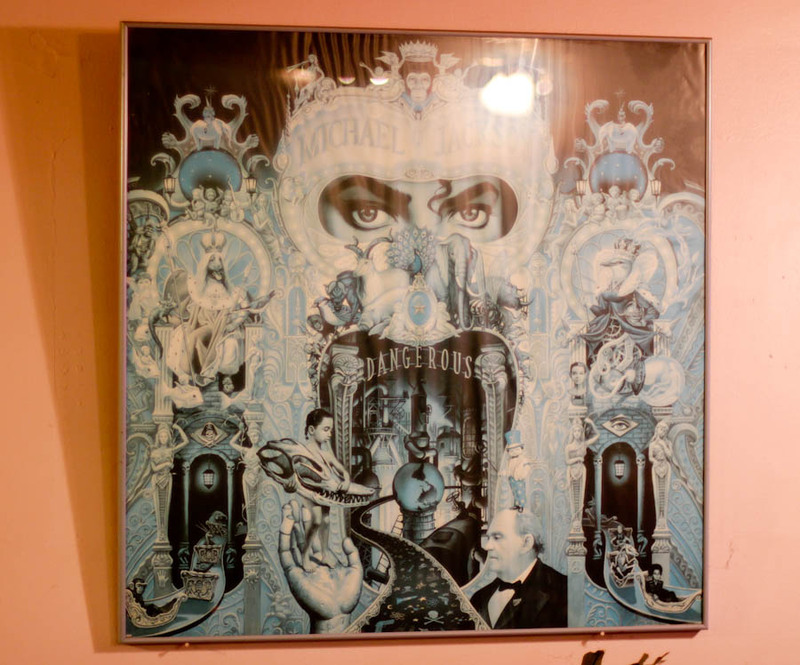 I had from time to time walked passed this on the way to tai nam grocery and I have for a time had my eye on it. It's always full with a mostly, if not entirely Vietnamese clientele. Upon walking in, we were greeted with a strong, pleasant smell and the bowls of soup on the tables looked very promising. Thick dark steamy broths. The extremely friendly staff recommended a couple of soups for us and we were really glad they did. We ended up getting a Bun Bo Hue, another Dac Biet Pho for a basis of comparison, and the highlight of the visit, a Bun Mam, in english simply called "Rice Noodle Soup southern style of processed fish", it had fish, pork belly, and eggplant. I thought both the Pho and the Bun Mam really shined. 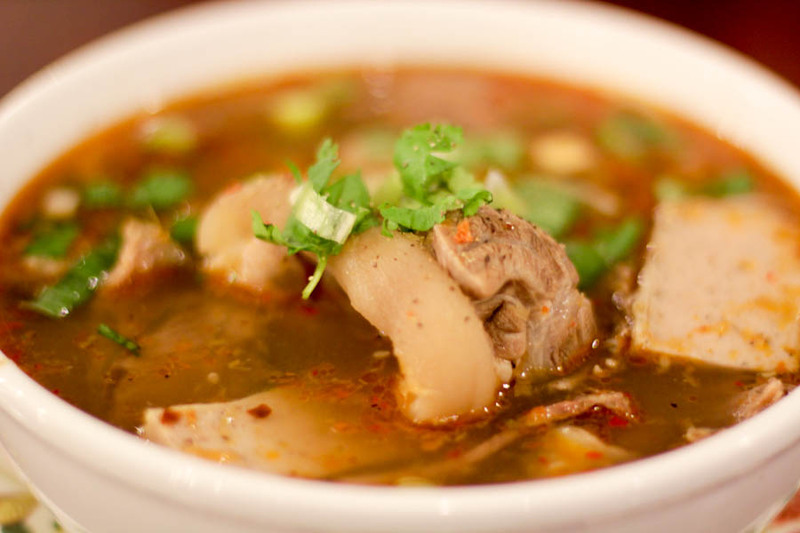 Nice thick and savory broths, lots of perfectly cooked meats. 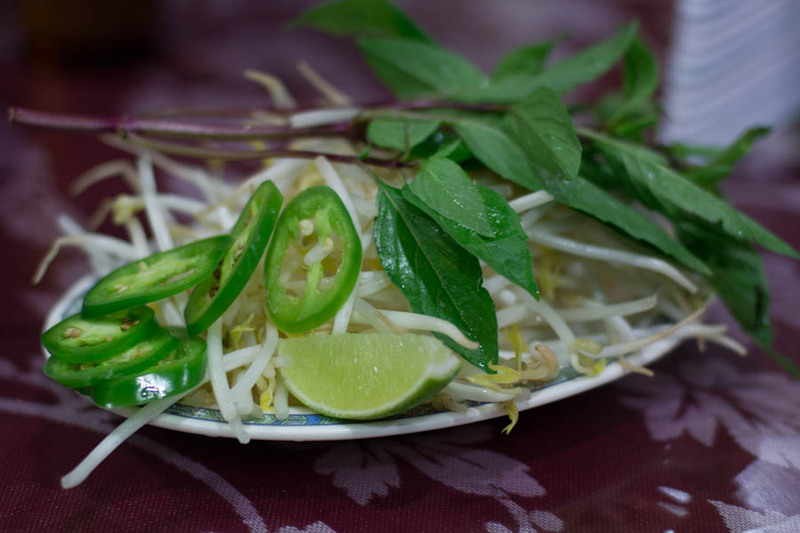 One item I've never had served with a Vietnamese soup which was given along with the sprouts and herbs were the banana blossom leaves. It added a really nice texture to the rest of the offerings. The bun bo hue was good, but i'm not an expert and the consensus among the table was that it was good, not great, and they've had better. I, of course like just about everything spicy a bit spicier. 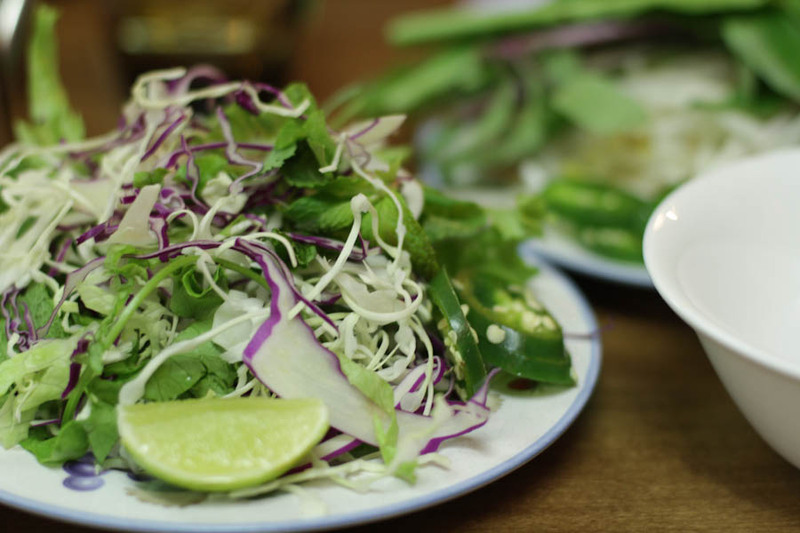 Side veggies with banana blossom leaves. Also included were 2 other dishes, this one with mint, one with the culantro, and the other with basil, each complimenting a different dish. Final Stop of the night was Pho Lily. Sadly this was a complete miss. 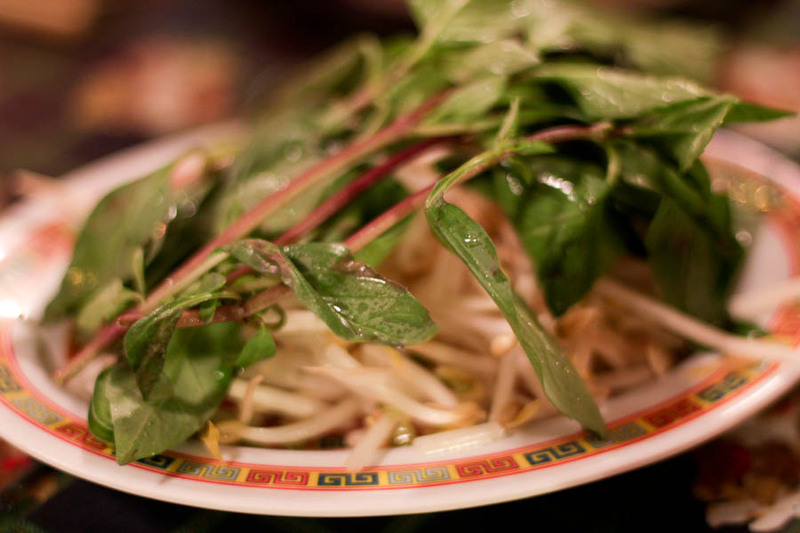 We got a few appetizers and a bowl of the Pho Dac Biet. 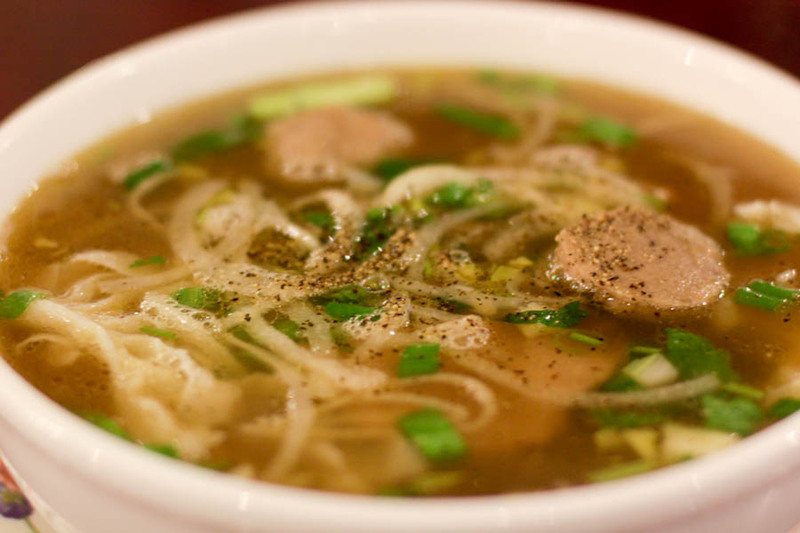 The broth did not even resemble pho, it was not savory in the least, and had way too much cinnamon and nothing much else. It was starchy as if the noodles were stewing for a while. The noodles also mushy, so i'm assuming this was the case. Nothing much else was worth the trip, the spring rolls being very oily, and the fried tofu skin wrapped shrimp cakes also greasy, over-fried, too crispy and under-stuffed. The picture on the menu showed a thick juicy shrimp cake, however I was not sure there was even a shrimp cake in there, except for a faint fishy flavor. 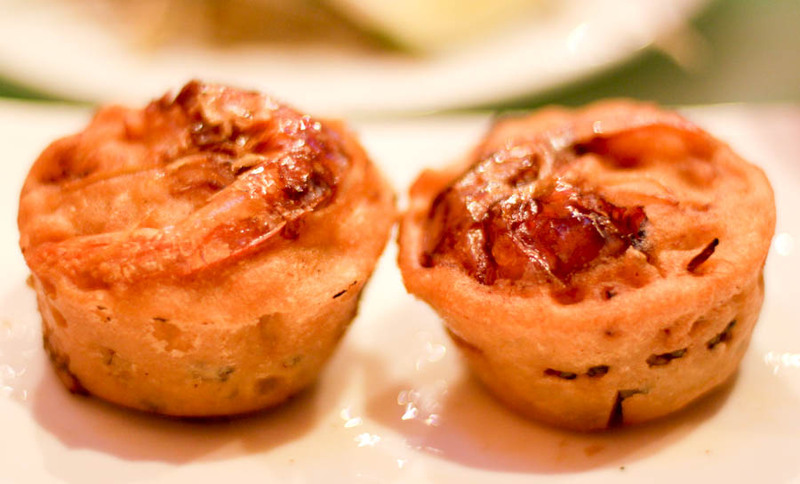 Tofu skin wrapped shrimp cakes. A bad end to the night, but all the more encouragement for us to find some better ones tomorrow! 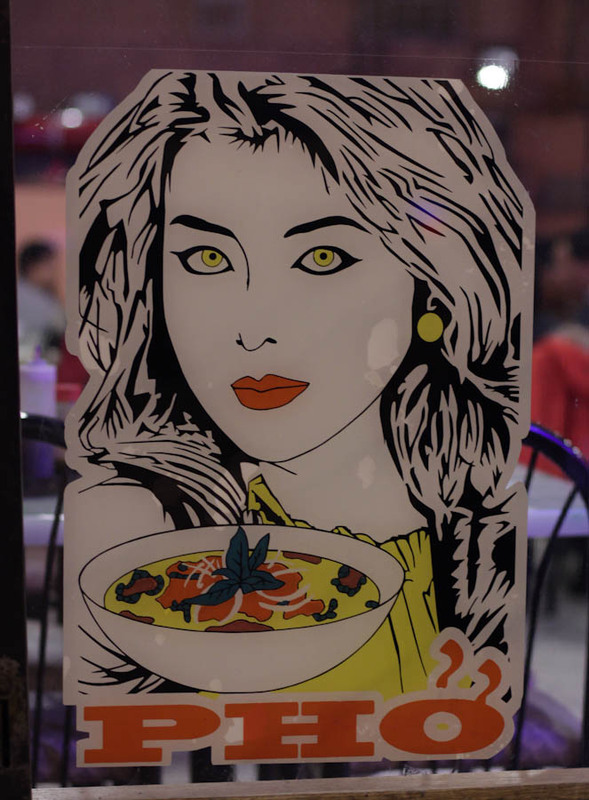 I'm really glad to have found Le's Pho, probably the best Vietnamese food I've had in Chicago and I really look forward to trying more of the menu! All in all it was a really fun time and i'm glad we're doing this. 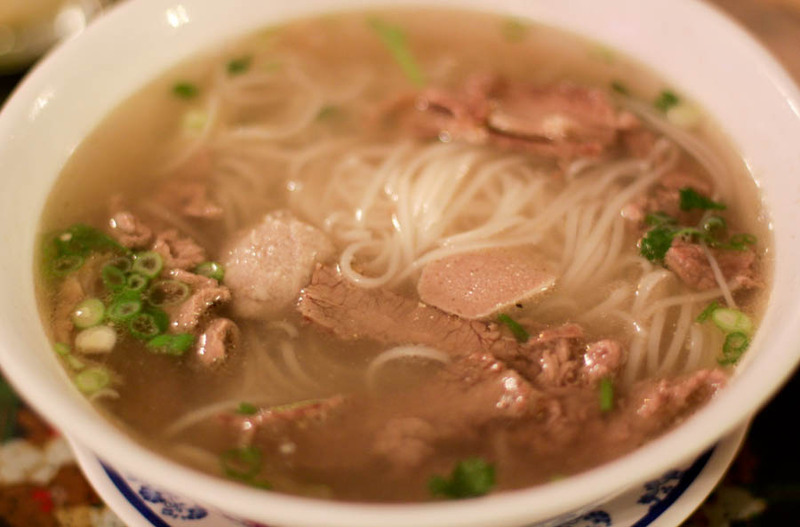 Hope more can join in on the pho hunt tomorrow or wednesday. Wednesday is shaping up nicely! Last edited by laikom on December 6th, 2011, 5:30 pm, edited 1 time in total. Sadly this was a complete miss. 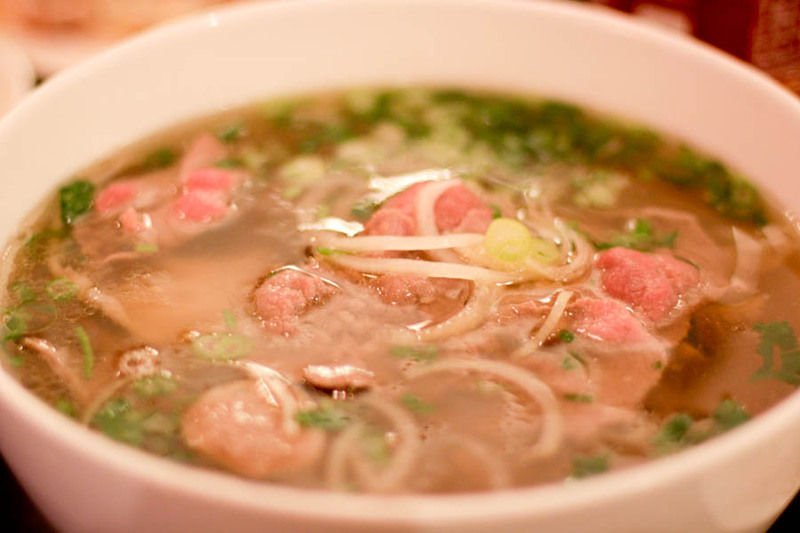 We got a few appetizers and a bowl of the Pho Dac Biet. 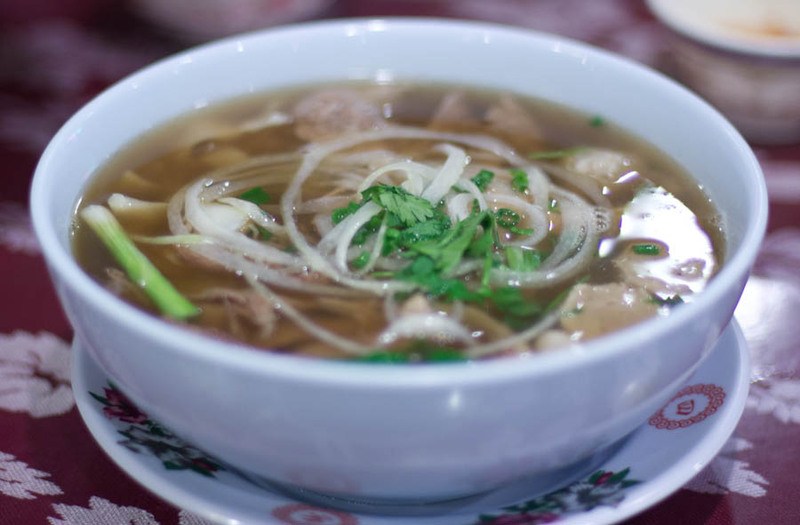 The broth did not even resemble pho, it was not savory in the least, and had way too much cinnamon and nothing much else. I noticed that on both of my visits, so it's not an aberration by any means. 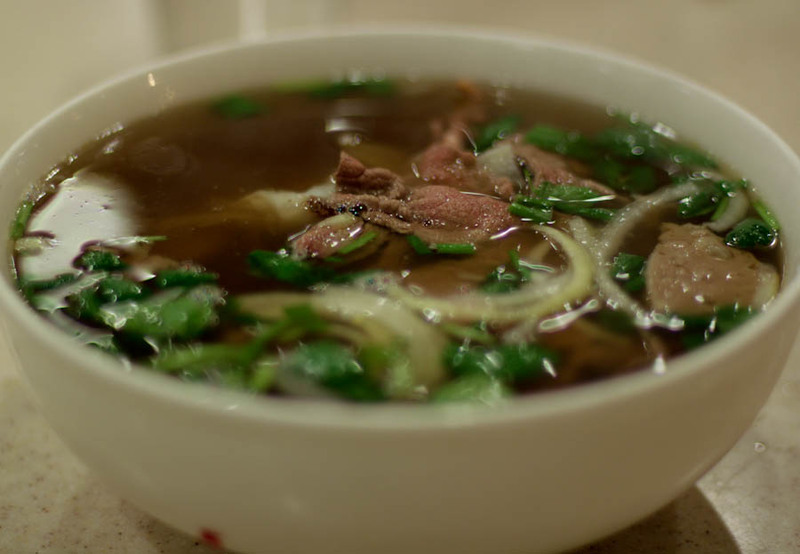 There was a time when Pho 777 made a very good pho. There was a change in the kitchen with new owners about six years ago. From your report, it still is not like what I first experienced there. 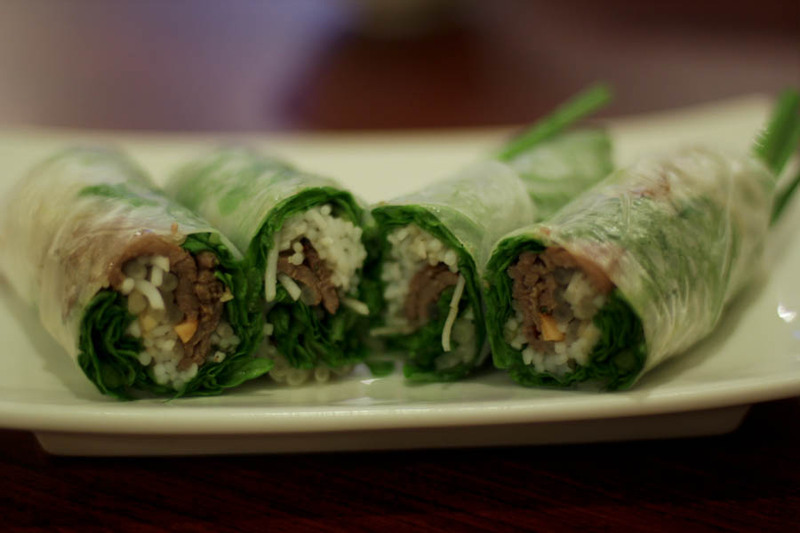 Spring rolls is something where there is a difference in quality from place to place. When Pho 777's kitchen changed, my first indication was a different composition of the peanut-hoisin sauce. I look forward to see what shakes out from this effort. 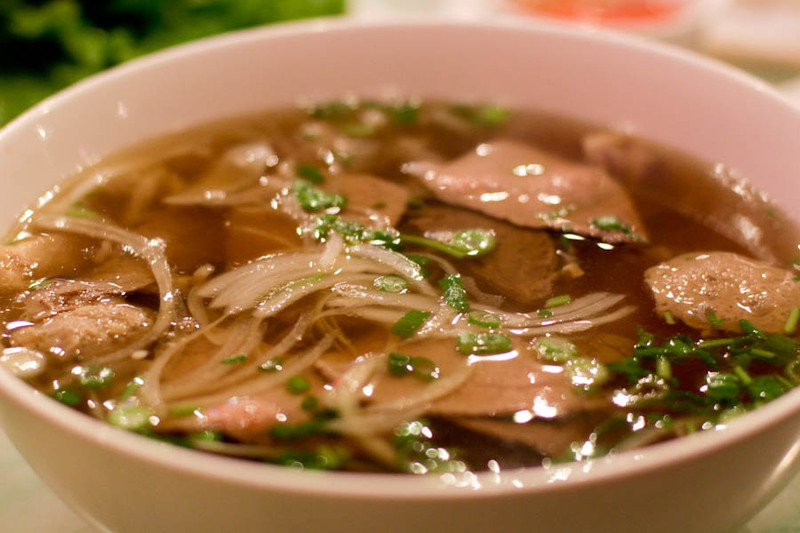 ...unfortunately, pho seems to be the weak spot at Pho 777. They have my favorite versions of goi du du and mi quang, the latter of which they take very seriously down to the soft boiled quail eggs and high quality turmeric noodles. 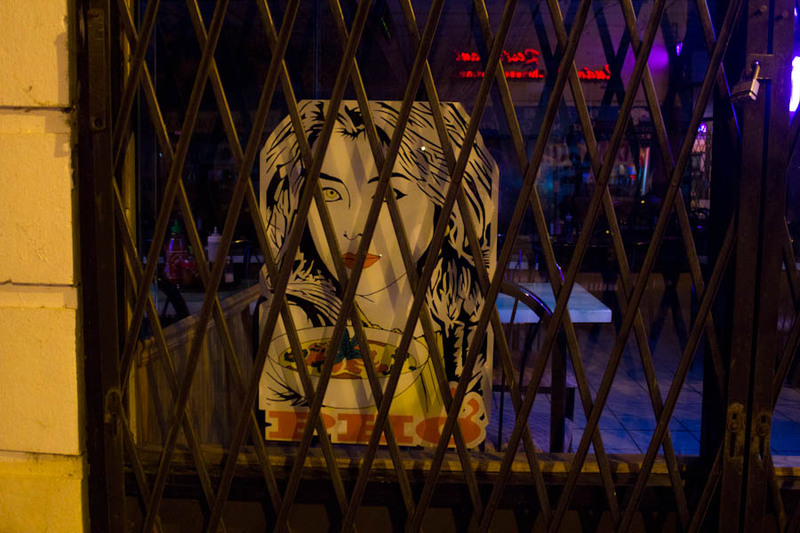 Sounds like an off night for bo la lot, but not the pho. Which brings up the question, if we have Burger King and Burrito King why no Pho-King? 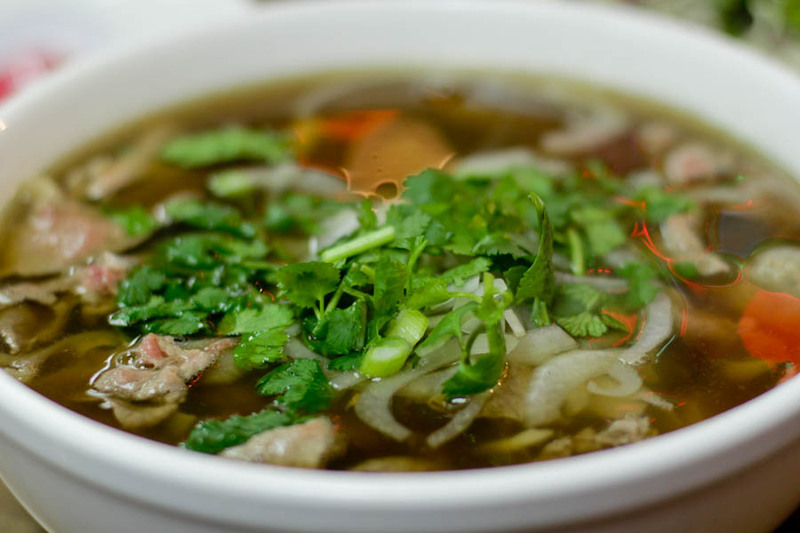 If you are really looking for a good Pho with a really aromatic broth in the Broadway-Argyle area look no farther than Tien Giang at 4925 North Broadway. They offer 8 variations and the Pho Ga (chicken ) made of dark meat is my favorite in that rarely appreciated category. Besides the owners and waiting staff are very pleasant. spinynorman99 wrote: Which brings up the question, if we have Burger King and Burrito King why no Pho-King? laikom wrote: As mentioned, we ended up hitting 3 spots tonight. holy moly. Three places in one evening? Boggles the mind if six of you literally ate down to the bottom of all the appetizers and the bowls of noodle soup at three places. I saw t-shirts in Ho Chi Minh City that were a parody of the Burger King logo, but instead of a burger it was a bowl & chopsticks with the words Pho King. Based on the wearer, I think part of the appeal was the homophone when pho is pronounced correctly. That was just the warm up. we hit 5 today. Working on the pics and post, should be up tonight or tomorrow. 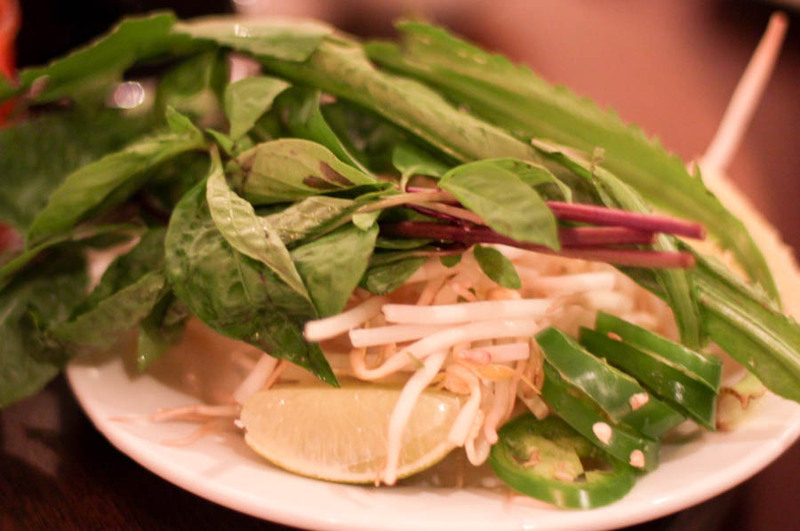 Pho Lily - ouch! My only visit was the day it opened, and I hadn't planned on returning (my pho was fine but unremarkable) until a friend of mine raved about the pho recently and told me I had to return. Well, I'll probably take her up on the offer ... but with less excitement ... I'm sorry I even brought up the name to you guys ... I don't want a hot bowl of pho poured over my head ... 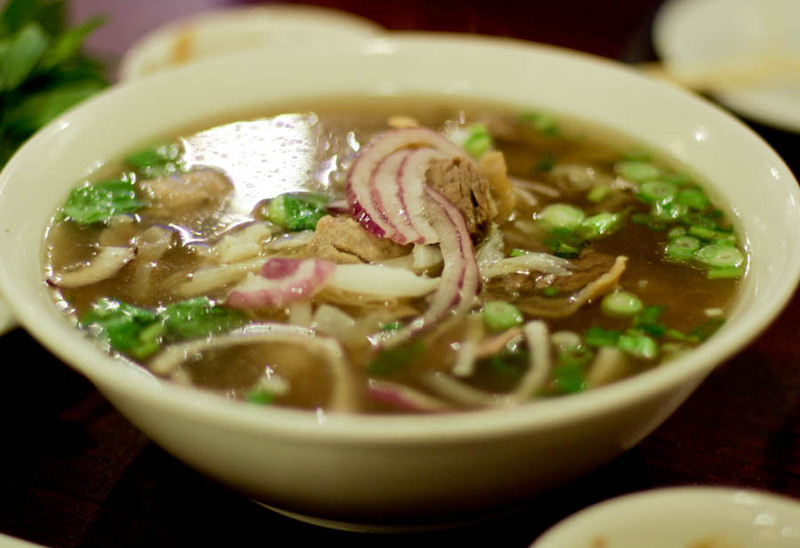 I hope you can pho-get about it. I must say that my outlook on pho and Vietnamese food in chicago is quite improved after tonight's leg of the adventure. We stopped at 5 places. 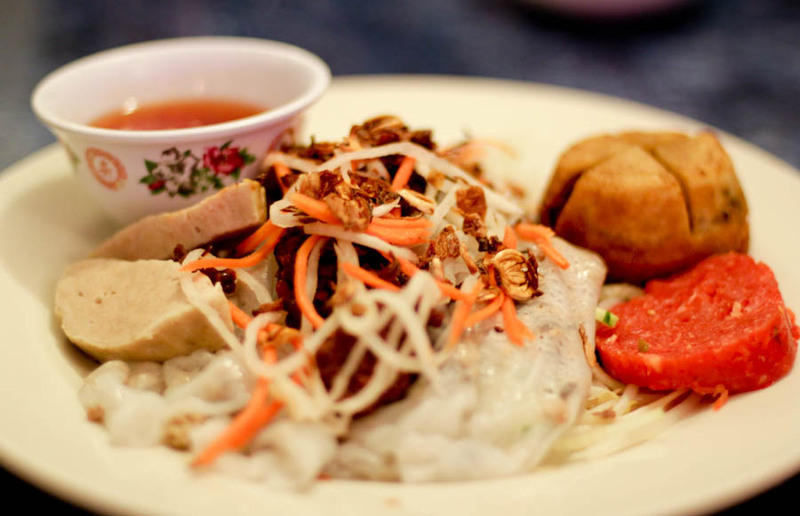 In chronological order (and as pictured below): we hit up Tank (Pho Xe Tang), Tien Giang, "viet nam" (Nha Hang), Hai Yen, then finally Dong Ky. We ordered the Pho Dac Biet at all of the stops, with a few extras dishes along the way. I will TRY to keep this more brief (but i promise i'll fail at that task) and try to just speak of the pho unless i feel especially compelled. Hopefully some of the other crawlers will chime in with more info on the appetizers, and more details about the dishes. I also don't want to feel as if i'm speaking for the group as a whole, we certainly have had differing opinions. I think this is most people's favorite, but still fell a bit short for me. 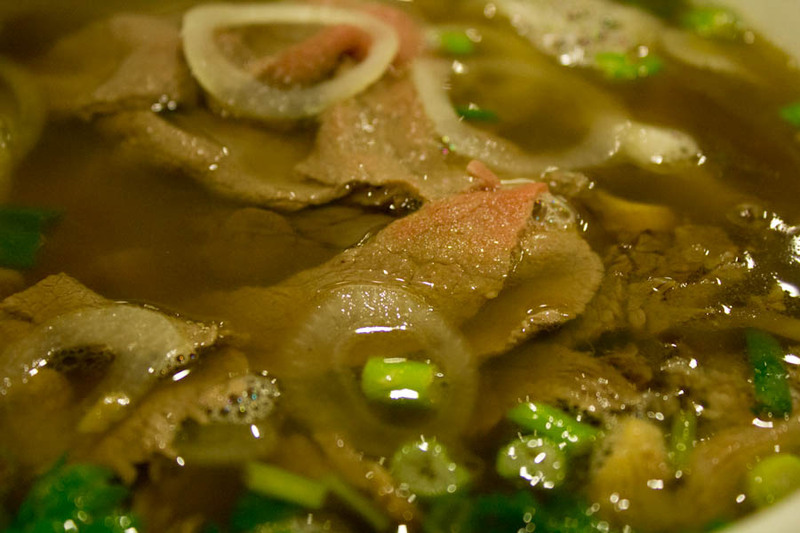 After my growing knowledge of pho, i've decided I favor those with a thicker, more gelatinous mouth-feel. While this had ample beefy and spice flavor, it seemed thin. I liked it a lot but not true love. 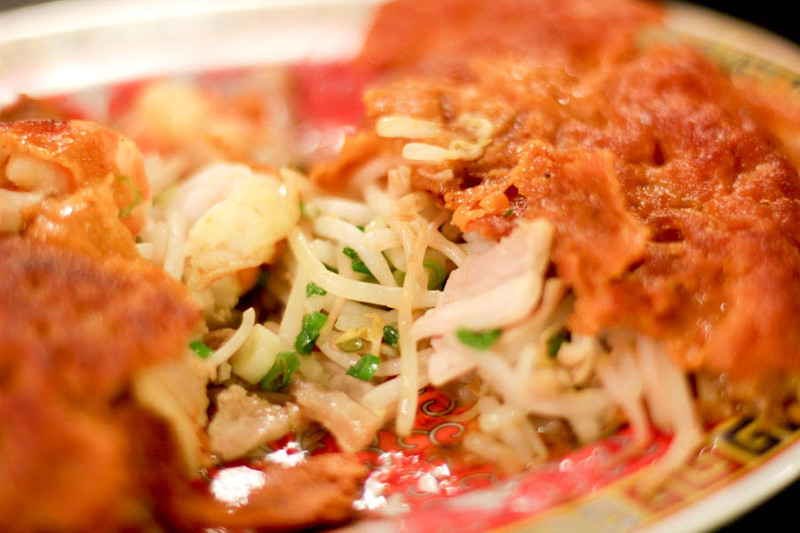 Excellent appetizer which hopefully turkob will describe for you! I found it quite plain, however I'm a bit torn, since it had a very nice aromatic quality. Too much noodle, not enough meat. Wasn't a total miss, but i probably won't be back for it. For me the clear winner of the day, by a mile! On a side note, there seems to be an amazing parallel among the friendliness of the staff and the quality of the food. And this place really shined! A serious mom and pop place (and daughters, pet fish, an uncle, and a few others). 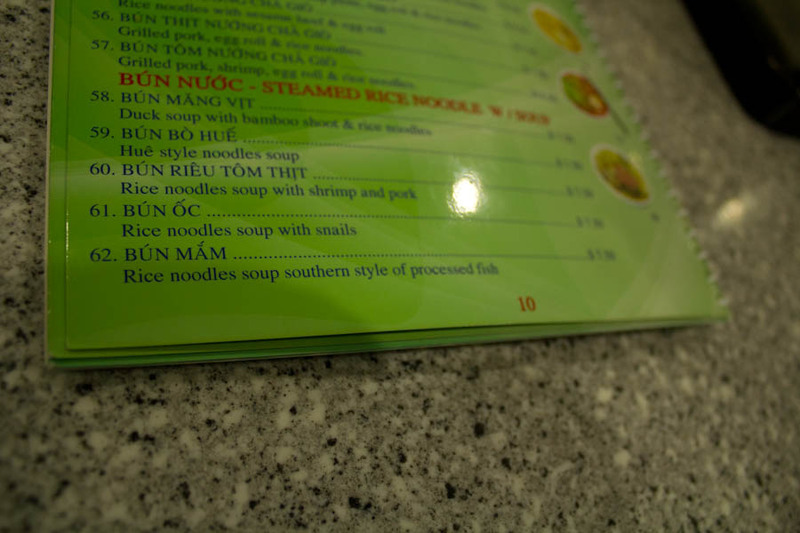 After Le's pho yesterday, I was excited to see the Bun Mam (preserved fish flavored seafood soup with the softer noodles) on the menu again. 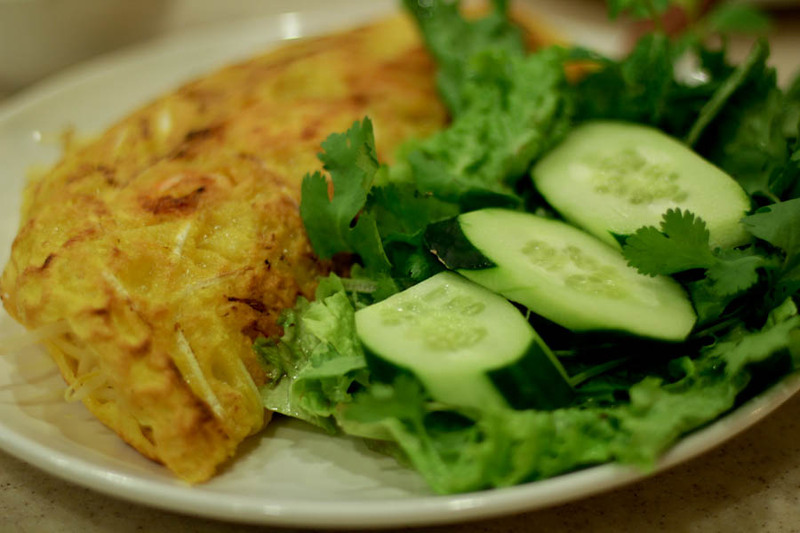 It's quickly becoming my new favorite Vietnamese dish. 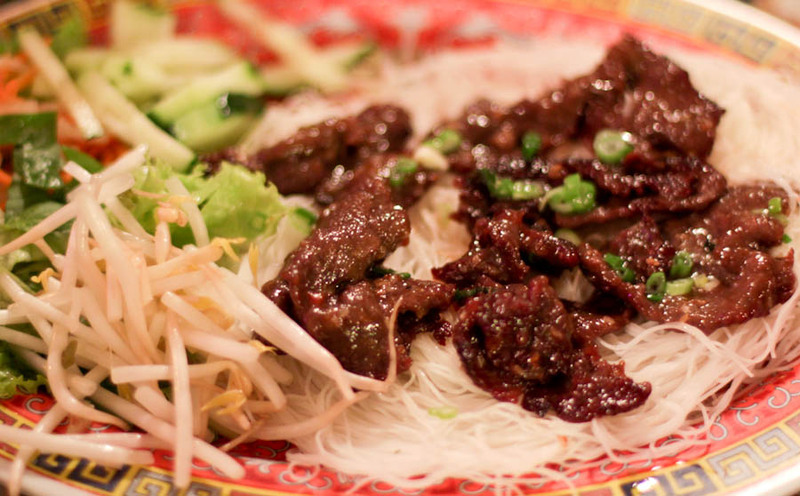 Both this and the Pho were thick, rich, beefy (or fishy), HUGE and no skimping on the meats in the least. The Veggies and Herbs the freshest and amply provided. I'll be heading back here to explore the menu very soon! Amazing food and amazing family running this place. Even being empty on a slow night they did not disappoint. I really hate to see a place like this sitting empty! 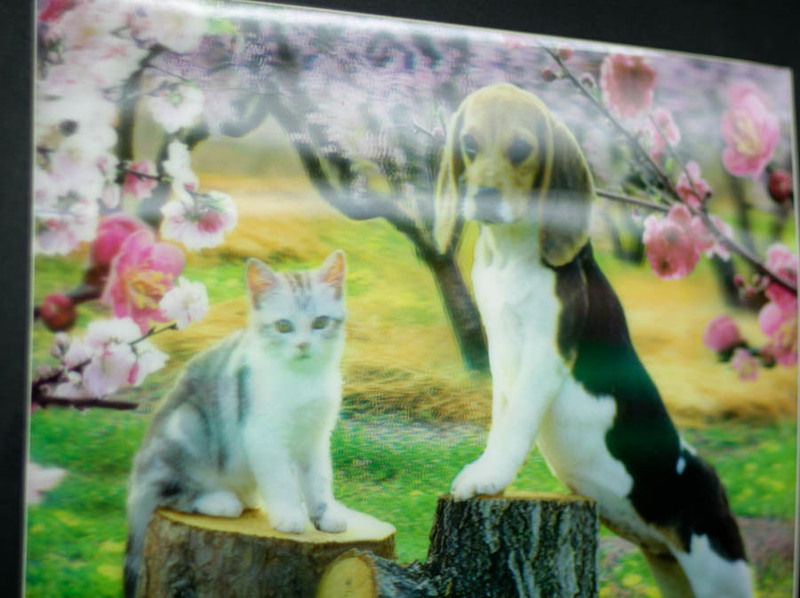 Who doesn't love a framed 3-D poster of a dog and cat? Tutu was our best server, Kept us on our toes all night. 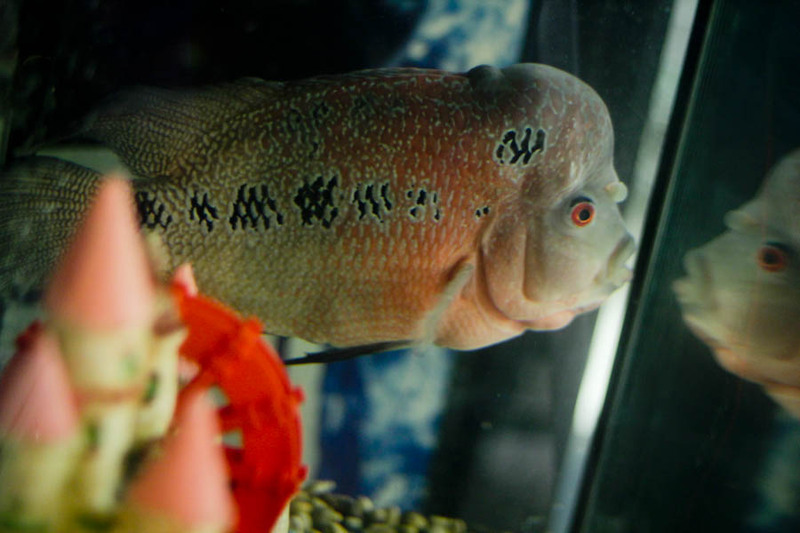 And the fish, to whom they only feed chicken, according to Tutu. The pho had ample meat, and the rarest provided of the night. Also great meat balls to which I announced actually tasted like a good sausage rather than overly processed as much of these are. Unfortunately the broth was very thin, and lighter in color. At this point in my learning, I'm starting to think the thinner tasting ones simply use a bouillon instead of making a real stock, or at least partially. It really lacks the gelatin thickness that i like. Maybe it's a personal preference, but it comes off as lacking complexity and pretty boring to me. Sorry to say it but the appetizers pretty much sucked, I'll leave it at that, or let someone else comment on those. As charming as the snack counter behind the grocery is, the pho was probably the worst of the day. 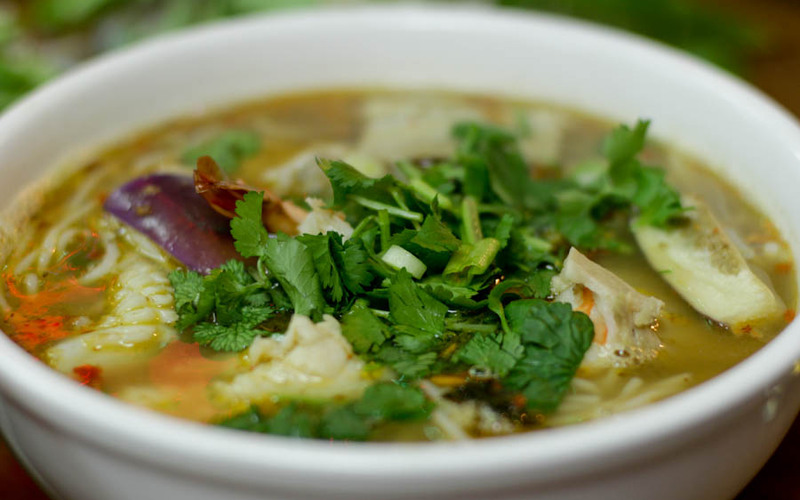 Thin lifeless salty broth, what you'd imagine a pack of instant pho to taste like. Granted we were there 15 minutes before closing, so we probably got the scraps, but there was little meat in the bowl. Our roughage and herbs were paltry and wilted. I joked that they dug them out of the garbage disposal for us.. It was dirt cheap, if that is of any consolation. 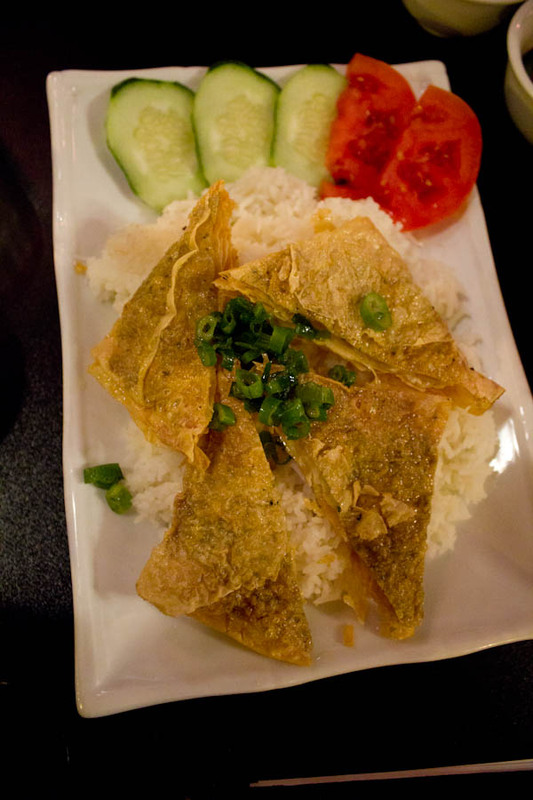 Interestingly we got a random appitizer simply called "fried radish cake". Sometimes those dishes that cost $3, and sound simple turn out to be pretty awesome and I have to admit i really loved this. 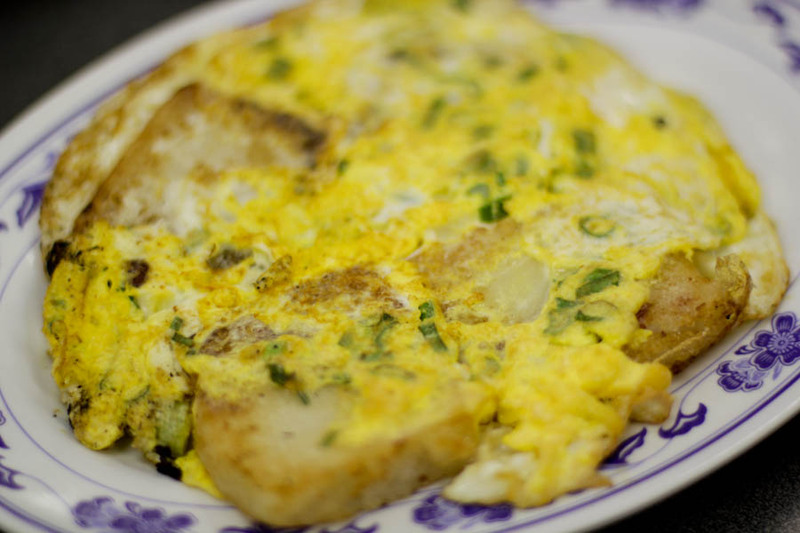 The radish cake was really moist and flavorful, and it came fried basically in an omelet. The eggs were perfect, not over cooked, and actually a bit runny in the center. This one surprised me, I loved it! Just take a look at the picture and you'll see why i was surprised. Last edited by laikom on December 6th, 2011, 5:31 pm, edited 1 time in total. BR wrote: Pho Lily - ouch! My only visit was the day it opened, and I hadn't planned on returning (my pho was fine but unremarkable) until a friend of mine raved about the pho recently and told me I had to return. Well, I'll probably take her up on the offer ... but with less excitement ... I'm sorry I even brought up the name to you guys ... I don't want a hot bowl of pho poured over my head ... 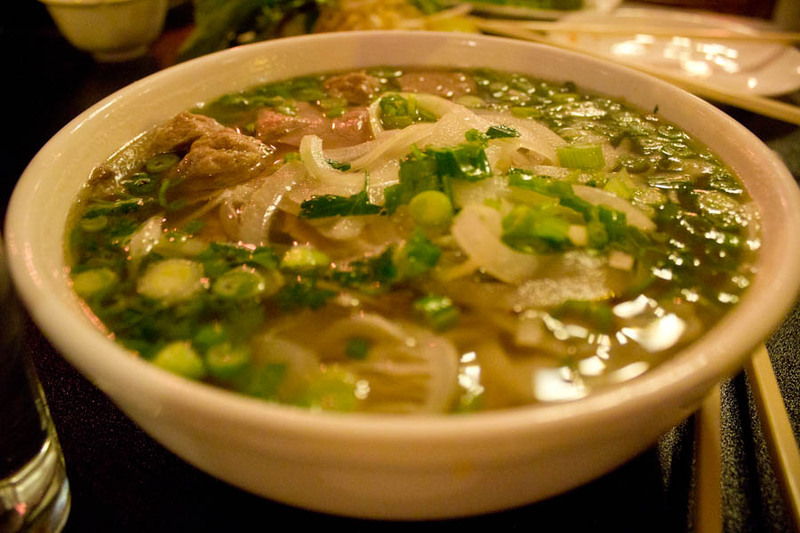 I hope you can pho-get about it. Don't worry about a thing. Perhaps we were there on a really off night? Let us know if your next experience greatly differs from ours. Anyhow, if we meet our goal of 5 spots tomorrow, it looks as though we're going to be hitting almost every spot in the area, so a dinner at pho lily was inevitable, hence there is no blame. 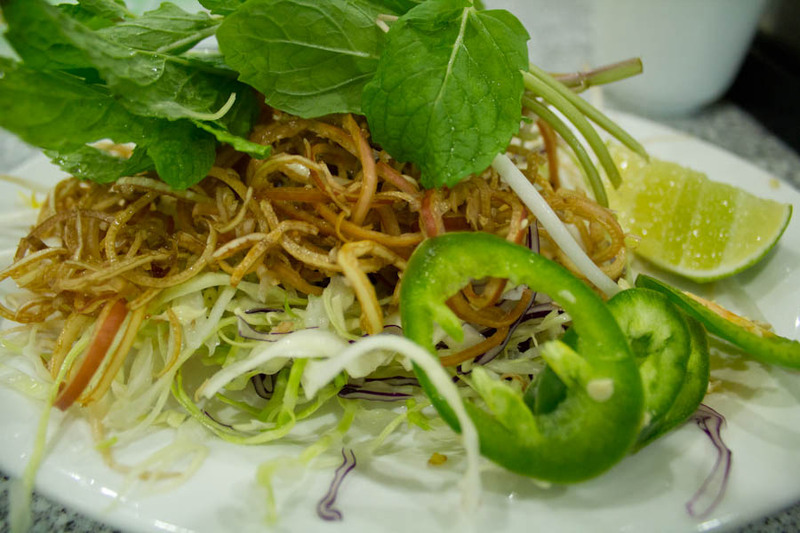 Sorry to hear about the pho at Pho Lily. However, we continue to visit regularly for pretty much everything else on the menu. 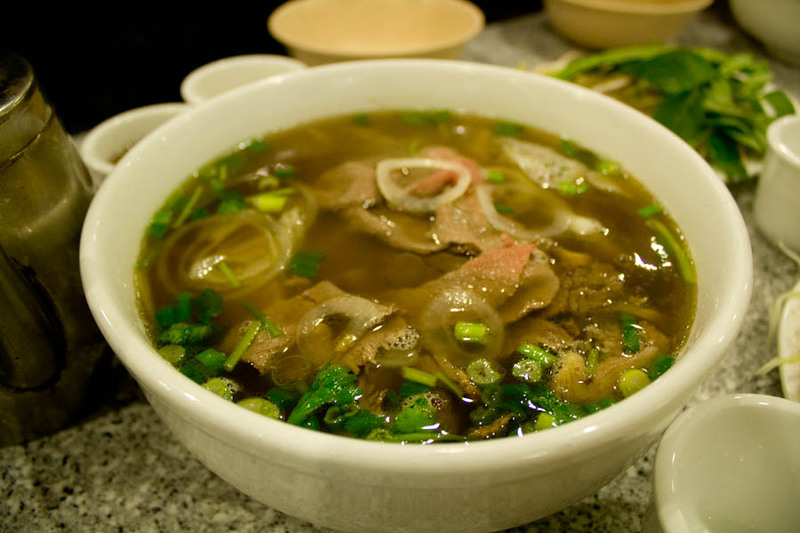 Although we haven't had occasion to try the pho, we have made it a point to try a variety of other things and have, almost without exception, been very happy. 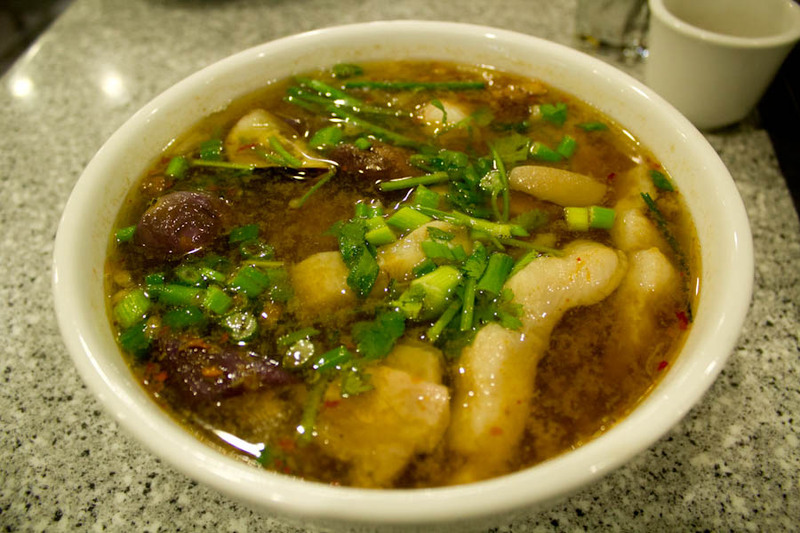 laikom wrote: After my growing knowledge of pho, i've decided I favor those with a thicker, more gelatinous mouth-feel. At this point in my learning, I'm starting to think the thinner tasting ones simply use a bouillon instead of making a real stock, or at least partially. It really lacks the gelatin thickness that i like. 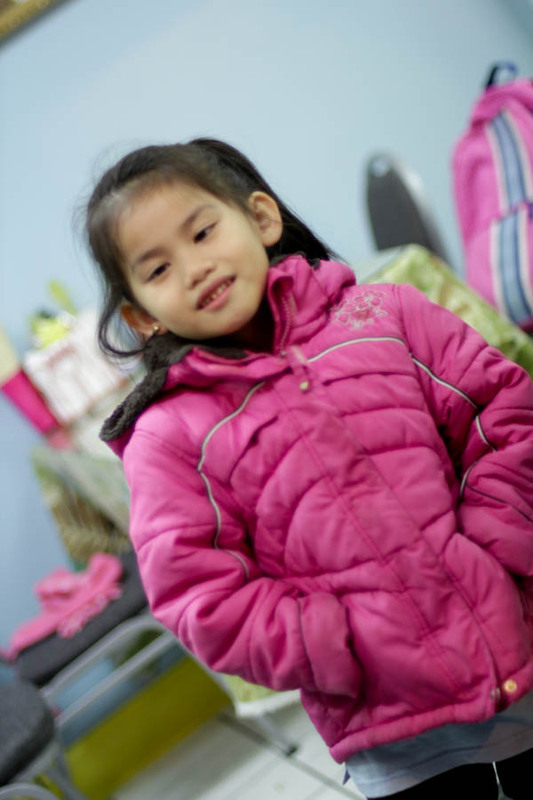 Great photos and descriptions laikom. I wouldn't necessarily conclude that the broths were thin due to bouillon. I suspect the reason is that they just did not cook the broth long enough, but perhaps they used crappy or minimal beef bones (I really hope they didn't use bouillon - I would think that would really stand out). Yes, the broth should be gelatinous when cooled, and a way to test this is to bring some home with you and refrigerate it. When fully cooled, the thicker the better. I will note that I have done this with Tank (Hoanh Long too) and have found the broth to be quite gelatinous, albeit not as much as when I make my own stock. Of course, they're constantly making the stock so it's certainly possible that one batch was not cooked long enough. Is this appetizer cod milt? 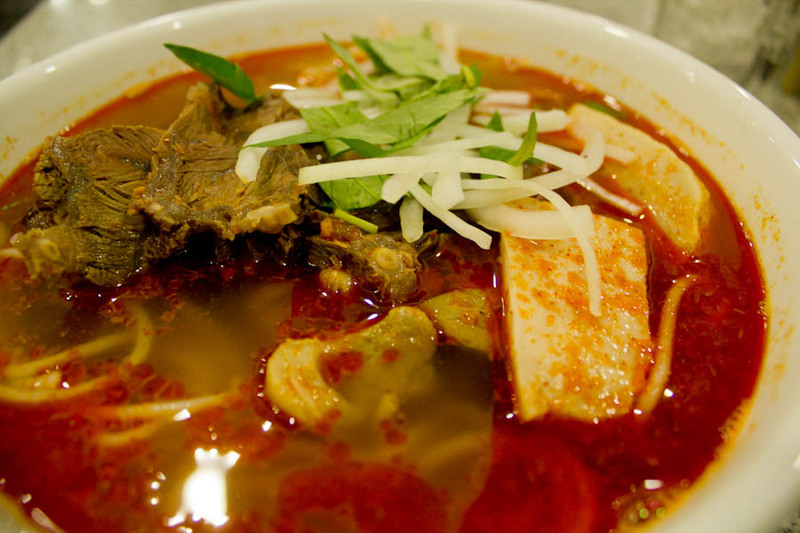 Glad you like this place, I've only been once but my bowl of bun bo hue was great and the people really are welcoming. I'm looking forward to exploring more as well. Are you guys going to check out any more places? 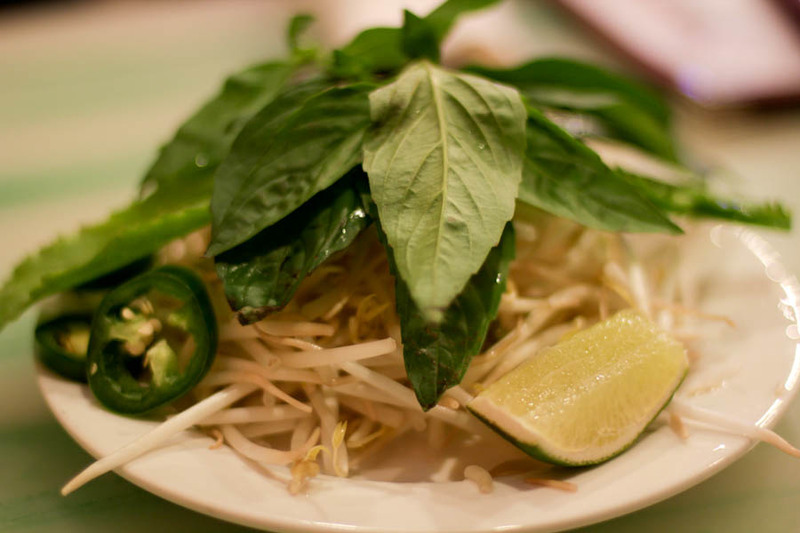 Pho 888 and Pho Viet are my personal favorites. 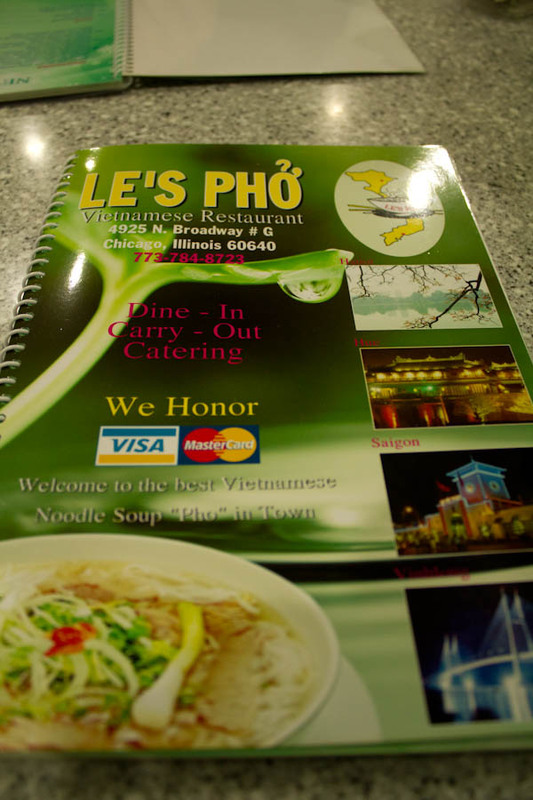 Le's Pho and Pho Viet Nam both look great - will have to try next time I'm in Chicago. There's another adventure planned tonight. 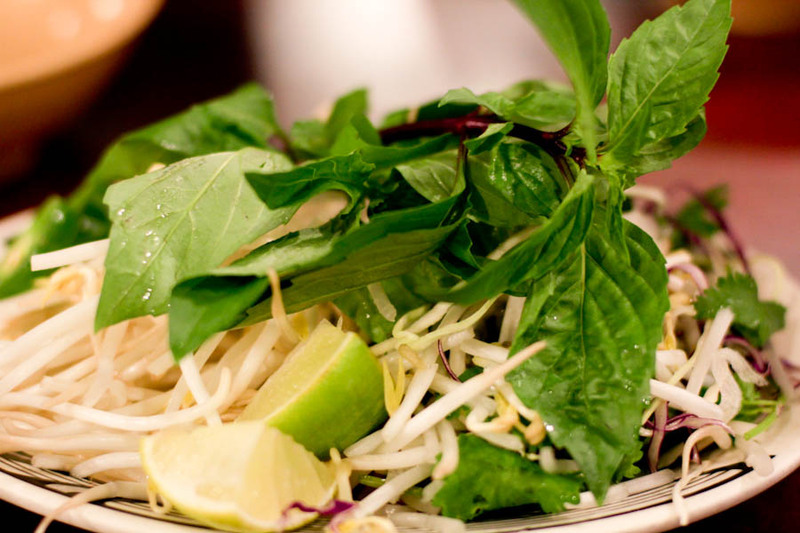 Pho 888 and Pho Viet are on the docket. Sad come down for Pho777. 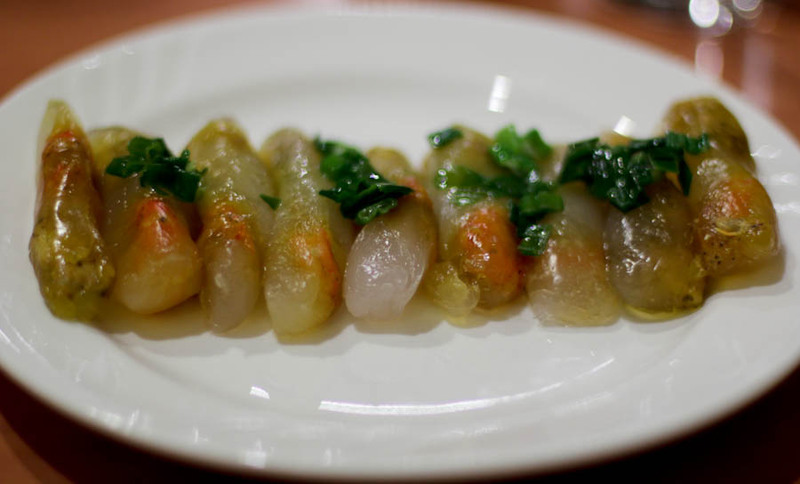 I don't think many or any of the phos I've had have had a really gelatinous mouth feel. 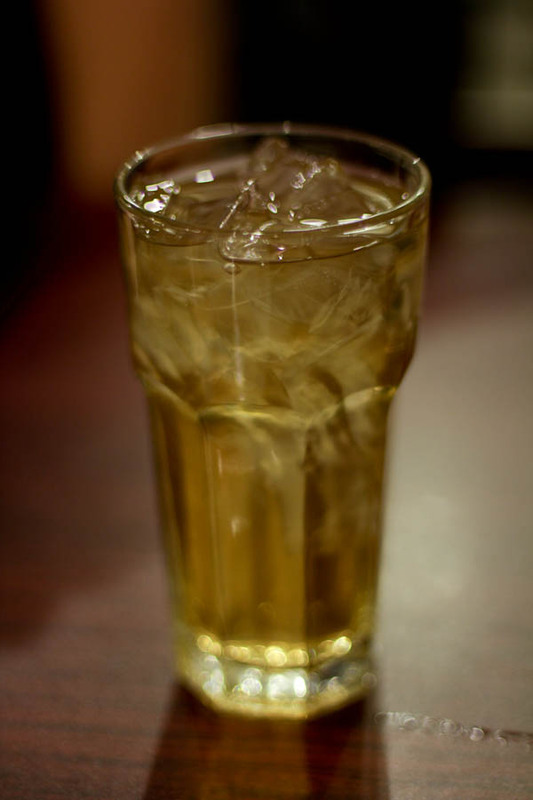 I've grown accustomed to the thinner broth, which, when balanced and flavorful, I like a lot, e.g. Tank. Don't get to Argyle very much at all since moving out of the neighborhood, so this is a very useful report to have. 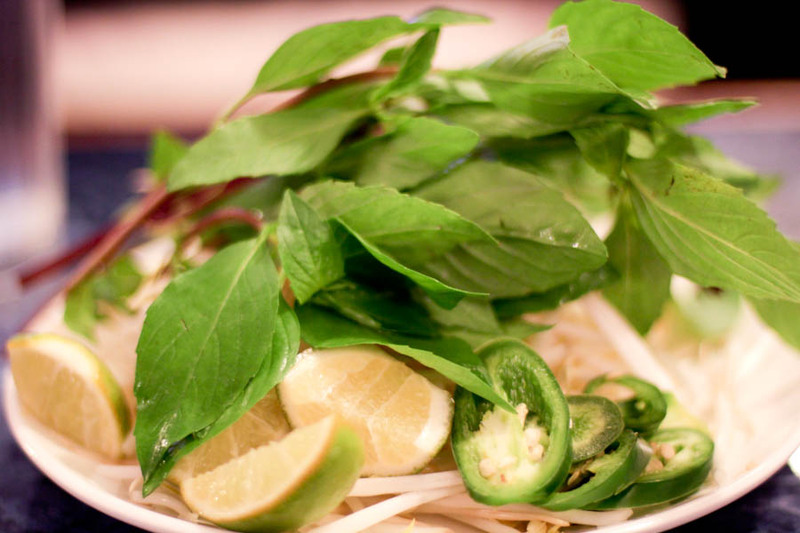 Tangential question: anyone tried pho at the Viet outpost in the Oglevie "French Market?" The bahn mi was pretty good. BR wrote: Yes, the broth should be gelatinous when cooled, and a way to test this is to bring some home with you and refrigerate it. When fully cooled, the thicker the better. I will note that I have done this with Tank (Hoanh Long too) and have found the broth to be quite gelatinous, albeit not as much as when I make my own stock. Of course, they're constantly making the stock so it's certainly possible that one batch was not cooked long enough. It's my estimation that Tank definitely had real stock. I guess i shouldn't have called it thin, but just not really thick and hearty as were Le's and Viet Nam. Turkob thought it was just as thick. It is totally possible that I was mistaken or confused. 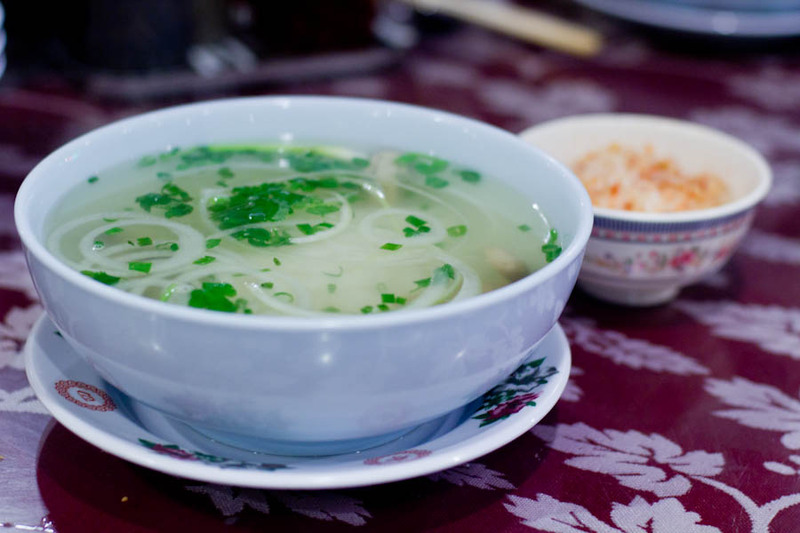 It is also my estimation that Hai Yen may have a partial bouillon, or not simmered theirs as long, however it was so light in color that most at the table were sure it was chicken stock. We even asked to find out, to which the server informed it was indeed beef. Still, again, at Dong Ky I would place my money that it was 100% bouillon. To avoid further confusion, I just realized i was probably using the wrong term here. By bouillon, I of course meant a dehydrated powered stock of some sort. Indeed, i believe it was banh bot loc. It was pork and shrimp inside a clear dumpling. perhaps you all can order some matching shirts! What's the location on Nha Hang? I tried looking it up but couldn't find an address for it. mfeigen wrote: What's the location on Nha Hang? I tried looking it up but couldn't find an address for it. I wrote a brief post about my first visit a couple of weeks back. Thanks so much for this write up! One of my best friends is a pho-natic (I'm ambivalent), but I feel as if we go to a lot of places for pho & he ends up complaining, "Eh, good, but not great." Needless to say, I sent him the link to this post. Thanks from here as well - link sent to daughter stuck in Maine who dreams of pho and makes her own given the lack of same where she is. You've planned her next visit for me! We had another pretty good day yesterday. We had about 6 -9 people in an out throughout the evening. Turkob and I managed to hit 5 more spots, bringing the grand total up to 13. 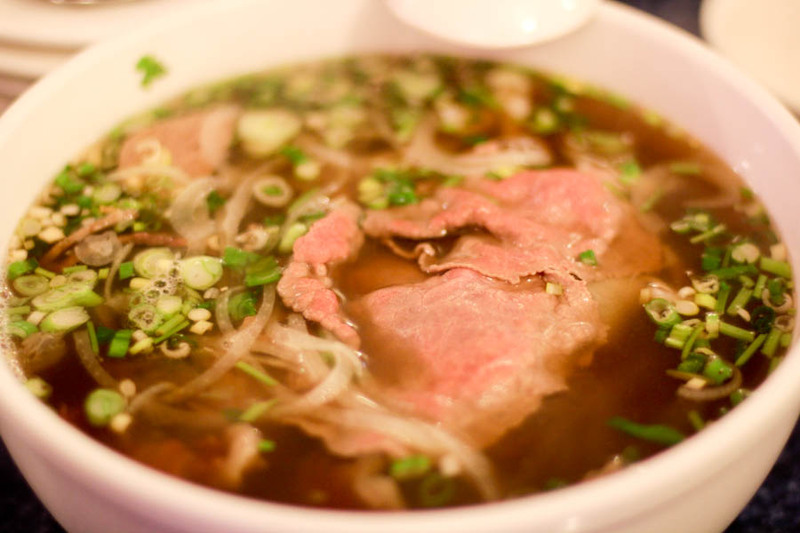 By our research that includes just about every pho shop in the argyle area. If we missed any, let us know! The pho was middle of the road. It falls into the thinner but of decent flavor category. There is little to complain about, but at the same time nothing too exciting. 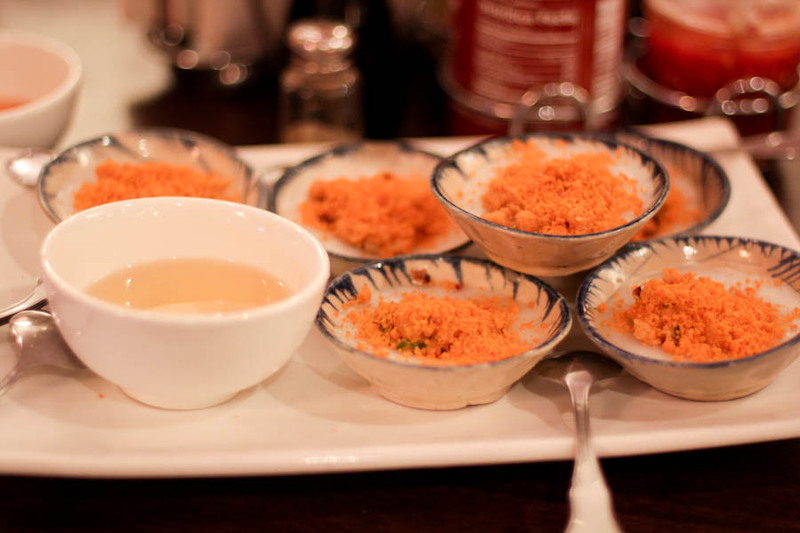 For an appetizer we ordered the Banh Cong which was referred to on the menu as a fried shrimp cake. I had not had this in the past and I enjoyed it. It was fried crispy on the outside and moist inside. The pork was a bit dried out, but well flavored. 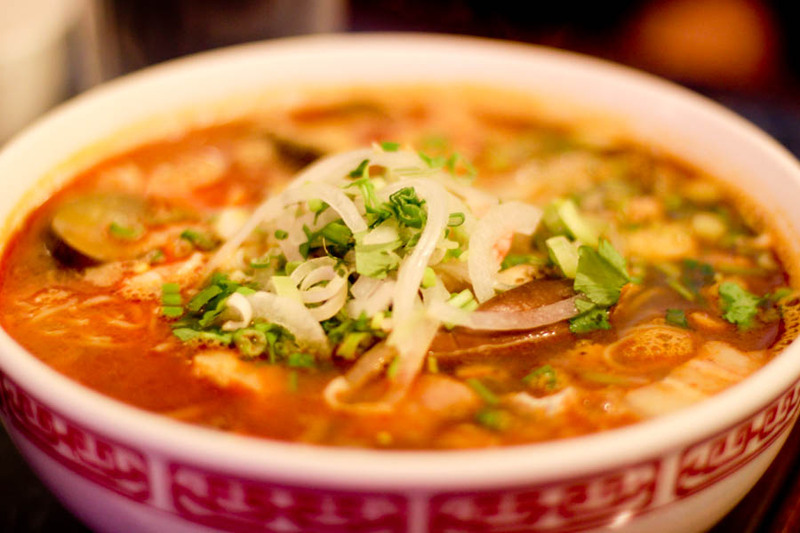 At café hoang we ordered a pho and a bun bo hue. 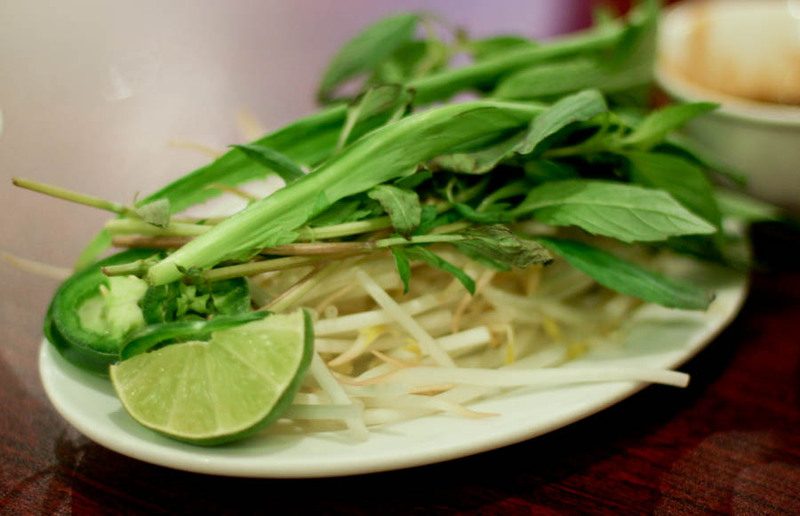 The pho was unique in that it had diced celery as a garnish and black pepper sprinkled over it. Other than that it was unremarkable, falling basically the same quality as xe lua. I enjoyed It, however didn’t love it. The bun bo hue was good, though I found the bun bo hue from Le’s to be more complex but only slightly so. I believe I recall Turkob preferring this one to Le’s, so I’d call them very close. At Pho 888 our group grew a bit. We ordered the Pho, a Bun Mam, and a sort of appetizer combination. Not sure if the plate had a name, perhaps boudreaulicious can remember, as she picked it out. 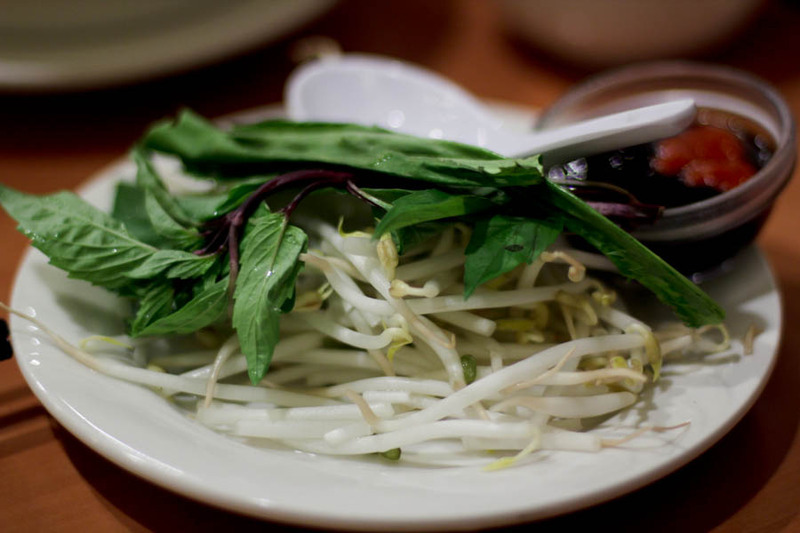 The pho was among the table’s favorite, with Turkob placing it on a tier with the tops. I guess this would be as good a time as any to go off into a tangent… In my new “pho-lightenment” I’ve seemed to have formed categories based not exactly on a “favorites” scale, but more like a style categorization. For me this one fits into the same category as tank, not necessarily thin, as it was quite thick in its mouth-feel. It’s more of a clean vs… let’s call it “homestyle”. Tank and Pho 888 being in the cleaner clearer broth category, and Le’s and Viet Nam being in the thicker, dirtier “homestyle” category. When it comes down to it, I prefer pho 888 over Tank. I found the broth to be thicker, beefier and with perhaps a more complex spice aroma set. While tank’s seemed to smell mostly of clove and a hint of cinnamon to me, 888’s confused me and I liked that. I was having a hard time deciding if I smelled cinnamon, anise, clove or maybe even nutmeg. While the Bun Mam here was still Very good (it’s my new fav. 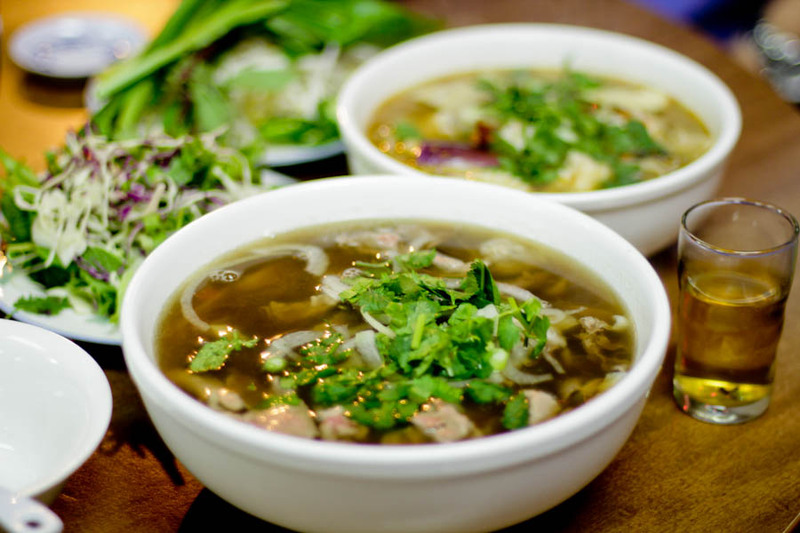 Vietnamese soup!) , it was still a short distance behind Le’s and Viet Nam’s. 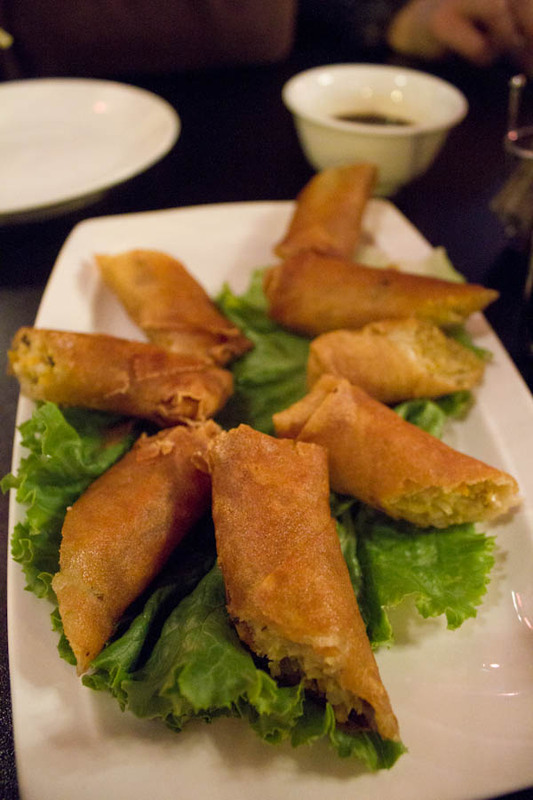 Le’s and Viet Nam’s are more fishy, spicy and pungent, filled with more meats and eggplants. The pho here was lighter in color and very healthy tasting. By that, I mean I feel as if I’m going to crave this one when I have a cold. It was clean like a well-made chicken stock. . While I enjoyed it, it was not too complex and was very low on the meats. For an appetizer we ordered a water fern cake, which I don’t think anyone knew what to expect. 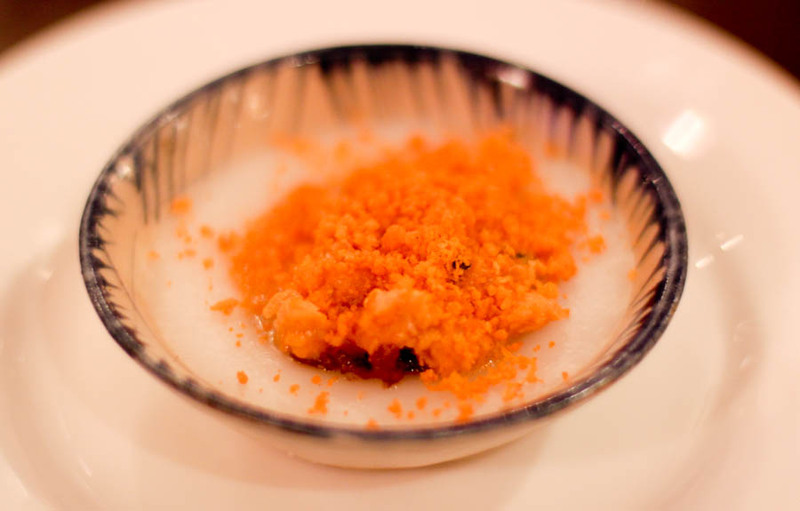 Served in individual bowls, they tasted like a rice or tapioca cake topped with something fishy and chewy in texture. My guess is the fern was in that topping? Not much to say about it but I enjoyed it. 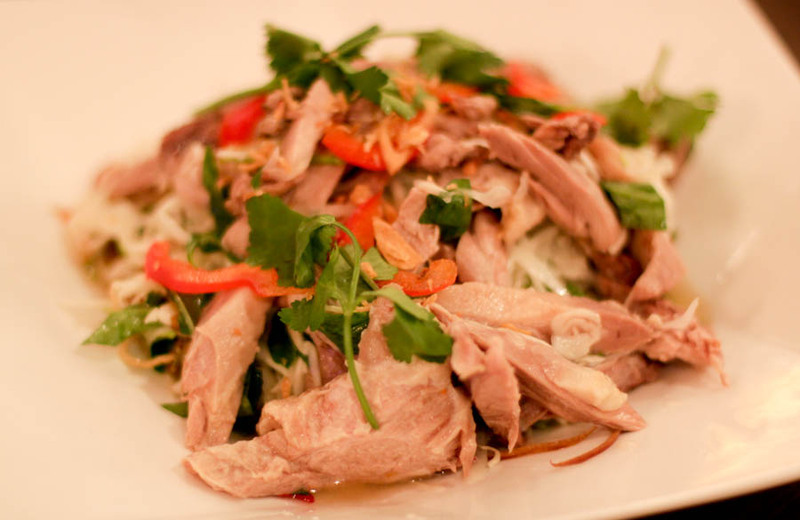 We also got the goi vit, which was a duck salad. It was fresh and cleanly done with little duck flavor. 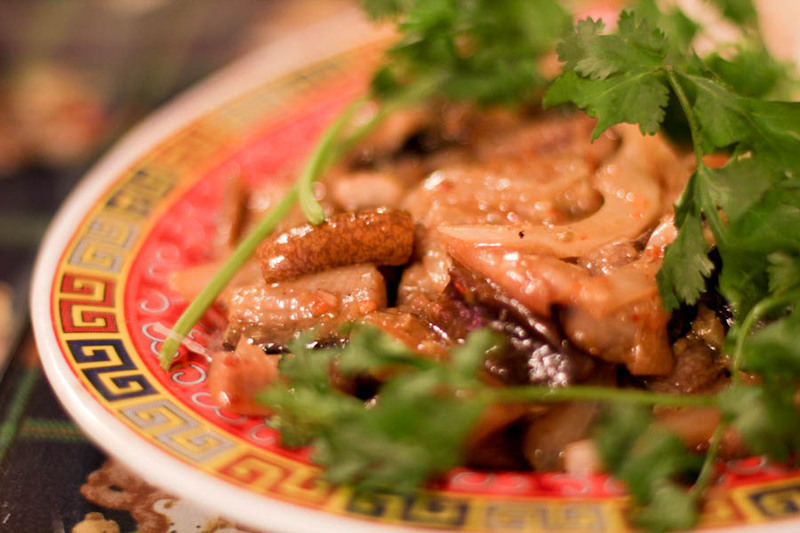 Moist and textural, only lacking a bit of the gamey duck flavor I would have liked. I liked the place and the owner, who ended up being very chatty with us toward the end of the meal. Would love to give a good review of the food, but can’t say much positive about it. As for the pho, I’m certain this was of the artificial reconstituted type. Very salty. As with Dong Ky, it was very inexpensive so this makes sense. The Ganh Xeo greasy, and a curry eel was peppery but mostly flavorless. Wish I liked the food more because the place is fun in a kitschy way. 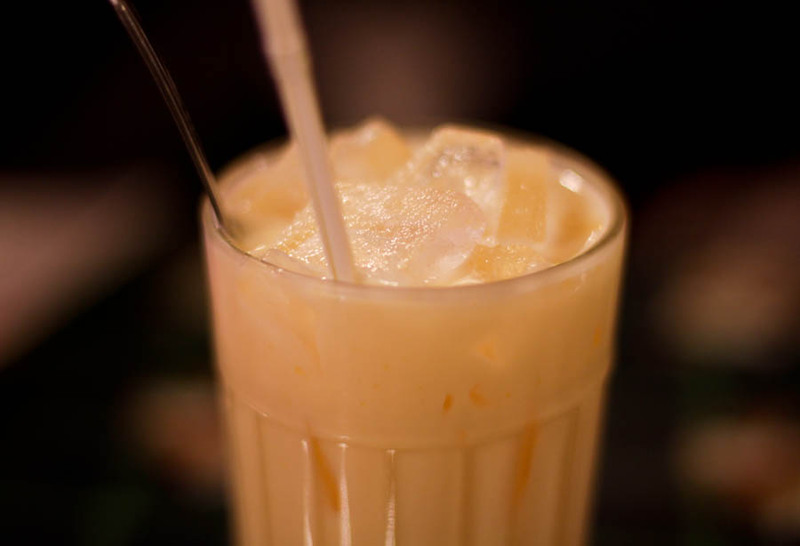 The most interesting part of the meal was a drink called Sua Hot Ga, which was club soda with egg yolk and condensed milk. It was unique and quite tasty. Last edited by laikom on December 6th, 2011, 5:33 pm, edited 1 time in total. Beautiful write-up laikom, and terrific pictures ... the only problem I see is that your pictures make everything look good. I look forward to giving some of your favorites a visit.